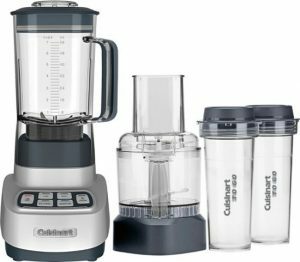 Get this Cuisinart Velocity Ultra Trio 56-Oz. Countertop Blender and Food Processor for only $89.99 today as a Best Buy Bonus Deal – you’re saving $60! This 3-in-1 blender and food processor features 4 speeds for customized blending and chopping. Two 16-oz. travel cups let you create your favorite beverages and take them on the go.